David and I decide it is time to start exploring the Grand Gulch Primitive Area west and slightly south of Blanding, Utah. 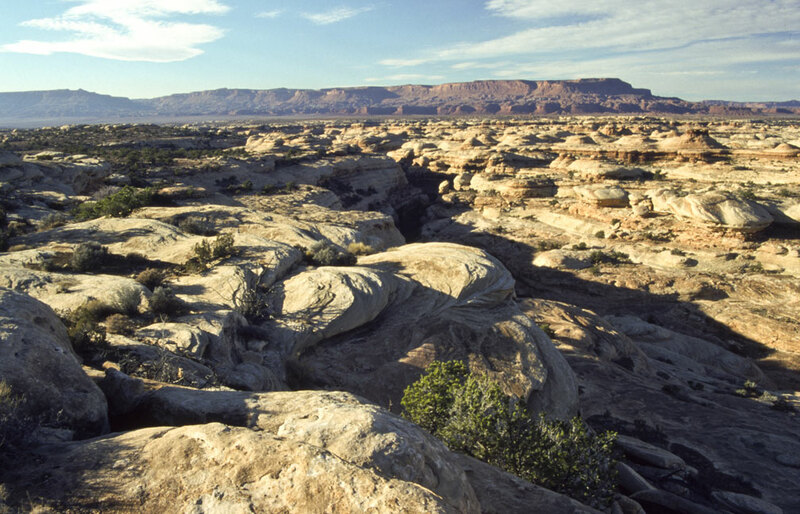 We hike in to the middle of the gulch from the east to see if we can see several natural arches in the canyon. However, I leave the map in our vehicle so we end up just exploring the top of the canyon hoping we stumble across the arches. 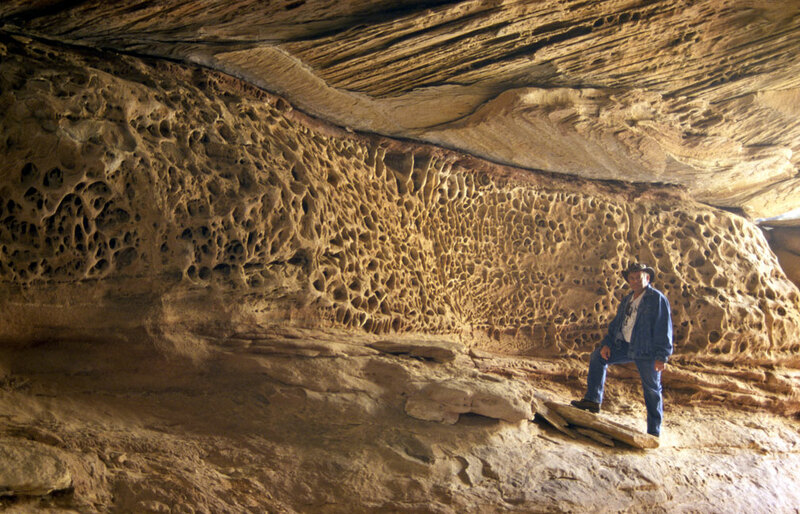 In one area at the top of the canyon, we find a natural structure created by erosion in the sandstone. 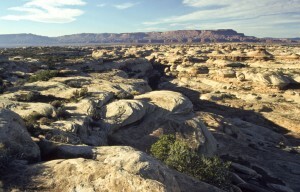 Water erosion has cut through the top sandstone in large blocks. Underneath, the stone is much softer and has eroded away tunnels large enough that a vehicle could drive through them. 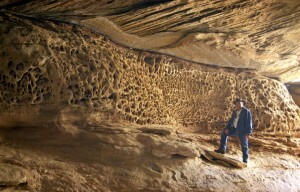 The tunnel walls are worn away in honeycomb patterns. These tunnels crisscross creating a labyrinth of many rooms, tunnels and passages. However, there is a thin crack in the ceiling of each room and tunnel so they do not qualify as natural arches. Still, it was an interesting find.